The characters are received in some unrecognizable (corrupted) format. This problem generally occurs when characters are not properly translated into their actual format. Moreover, if the characters of one code page are stored in any other code page in Non-UNICODE column then you may also face this problem. Due to the aforementioned issue, the MDF database file can be damaged resulting in data loss. Once the MDF file gets damaged, SQL Server is unable to access the file. Therefore, repairing corrupted MDF file must be considered on priority. However, before recovering data from the damaged MDF file, reasons behind the corruption should be known. The code page of client computer differs from the database code page. The non-Unicode data type has been updated or inserted in the database before querying the character data. Character data of one code page has been stored in the code page of other non-Unicode character data. How to deal with Corrupt SQL database MDF File? Preceding measures can help you prevent MDF file from damage but cannot help you repair it and recover data from a damaged file. 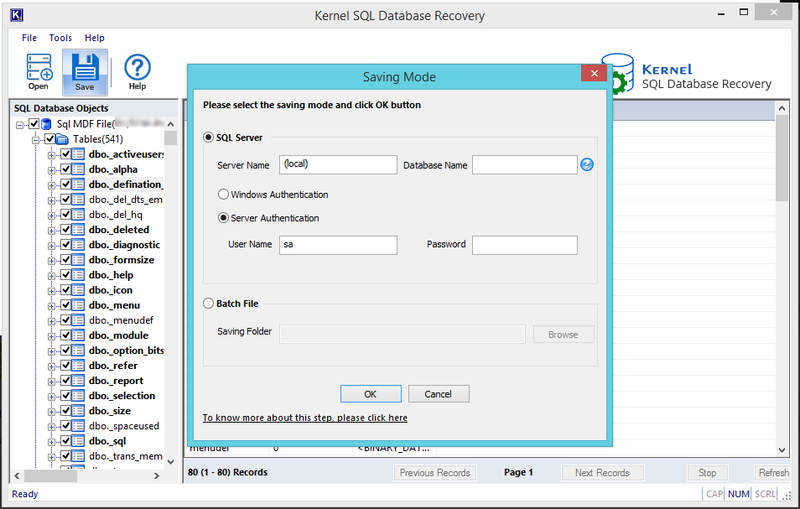 Therefore, to repair corrupt SQL database MDF File and retrieving SQL database objects smoothly, you can take into consideration the two well-known and doable methods for MDF Recovery. Step 2: Further, check the index ID and consider the following two cases accordingly. Case 1: If Index ID > 1, drop and create it once again. It might sound awkward but manual methods are not trustworthy solutions all the time as they have certain limitations. And if they fail, you might find yourself in the most worst situation ever. Besides, you need all the technical expertise to handle and resolve SQL database server issues manually. 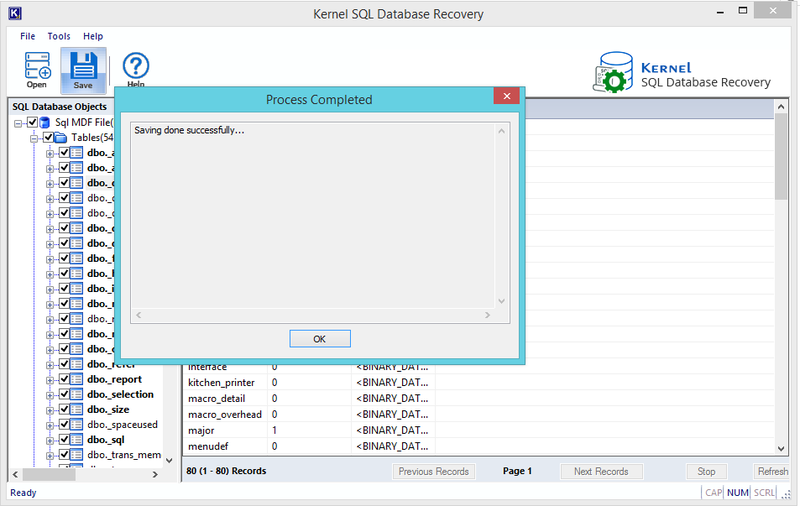 Thus, the perfect way to handle SQL database corruption and recover it is with the help of a third-party SQL database recovery or MDF Recovery software both are the similar tools. It specifically programmed to handle SQL database corruption issues. 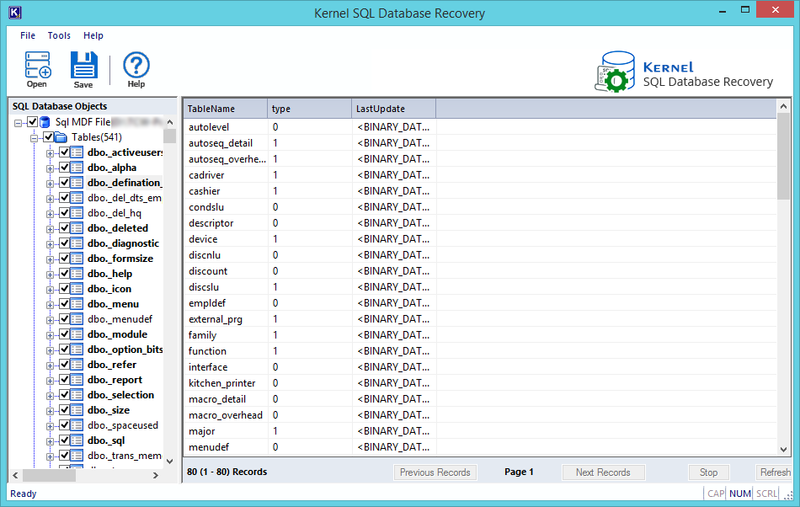 The best and most trusted software for this purpose is the Kernel for SQL Database Recovery software. You can simply download the free version of the software for feature experience, user-interface and finding a resolution to your SQL database issue. Later, you can register for a licensed version for the recovery of full database objects. On launching the software, the welcome window will appear on the screen. Select the specific MDF file that you want to repair and click Recover. 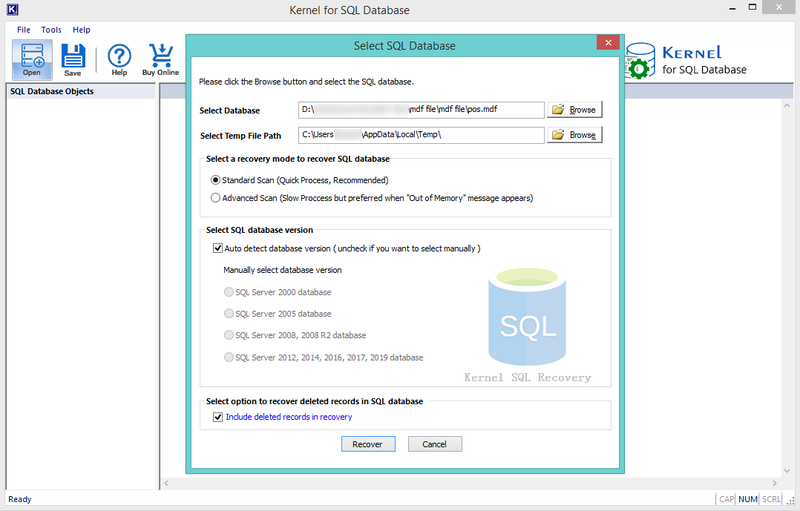 Note: You can select the SQL version if you know it, else check the checkbox “Auto detect database version”. The tool will start recovering the MDF file. Once it is complete, you can see the MDF file data in the left pane of the tool. You can click any folder to preview its content in the software. Select the desired data that you want to recover and click Save. The saving mode will appear on the screen. From here, you can save the MDF file to SQL Server or Batch File. If you wish to save to SQL Server, then enter the details for SQL server, else select Batch file and click OK. The software will start saving the MDF file. Once the process is complete, a notification will display on the screen confirming the same. Click OK to end the process. Data recovery experts have designed the MDF Recovery software by keeping various reasons for the MDF file damage in mind. The software uses QFSCI algorithms to recover data from the damaged MDF file. Moreover, the software supports MS SQL versions 2000 and 2005.